A Holocaust survivor shared his first-hand experiences of the Second World War during an annual lecture at the University of Wolverhampton. This year’s Holocaust Memorial Day Lecture took place in the Mary Seacole Building on Thursday, 25 January 2018 from 5pm-7pm. Henri Obstfeld, who was born in Amsterdam in 1940, presented the lecture, which was followed by a question and answer session. Organised with the Holocaust Educational Trust, the event was attended by University staff, students, invited guests and local secondary school pupils. 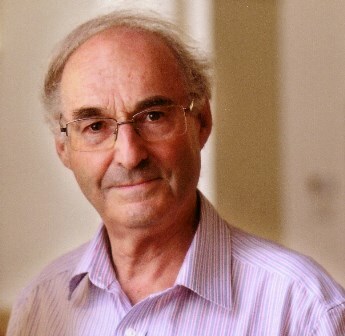 Henri Obstfeld was born in Amsterdam in 1940. His mother was a secretary and his father ran a slipper factory. In May 1940 German troops occupied Holland, and by 1942 Jews in Amsterdam were being rounded up and sent to work camps. Although he was only two years old, Henri’s parents received papers directing him to present himself at a certain time and place in Amsterdam with personal documents, a rucksack and supply of food. Henri’s parents took him to his Uncle Dolek’s and waited to see what would happen. The call up date passed and no one came looking for Henri so his parents took him home. Henri’s parents were alarmed by this episode and they managed to locate a Dutch couple living in Arnhem, Jakob and Hendrika Klerk, who agreed to shelter Henri. In late summer 1942 Henri moved in with his new ‘aunt’ and ‘uncle’ and his name was changed to Hendrik Klerk. Friends and family were told that he was a nephew whose parents had been killed in the Luftwaffe bombing of Rotterdam. Henri lived with the Klerks for the next two and a half years. In 1944, as Allied troops advanced from France and Belgium into The Netherlands, Arnhem became a more dangerous place to live. People were advised to evacuate, so the Klerks moved into their daughter’s house in the suburbs. As the fighting intensified, they had to move again, this time to a small village called Harskamp, where Henri was again introduced as the Klerk’s nephew. Harskamp was liberated by Canadian troops in April 1945. During this time Henri’s parents had found a hiding place in the city of Haarlem, near Amsterdam. They lived with Henri’s uncle, his wife and another Jew, and were provided with food by members of the Dutch Resistance. They returned to Amsterdam a few days after the end of the war, living in the factory before settling in a nearby town. Jakob and Hendrika Klerk were honoured later for their bravery. They had put their own lives in danger to rescue Henri. Henri came to Britain in 1961 and now lives in London. He regularly shares his testimony in schools and colleges across the UK. More information about School of Social, Historical and Political Studies courses at the University of Wolverhampton.